A nursing education has its own procedure. You can’t just finish a certain course and be eligible for a nursing job. There are steps that you need to do for you to become a legitimate nurse. First, you need to complete an accredited nursing program. This can be accomplished through nursing diplomas, associate programs for nursing and even a bachelor’s degree. This is your initial step before proceeding to a higher level of nursing education. 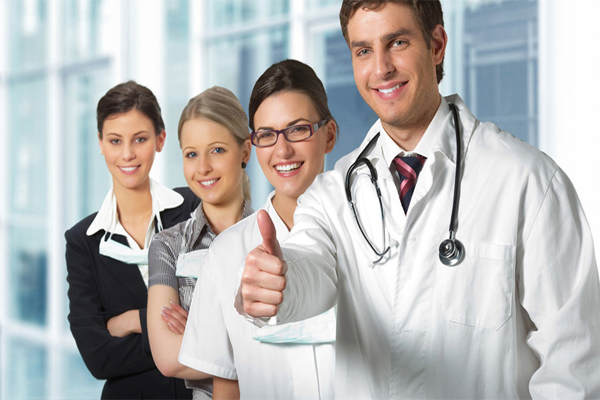 After which, you need to pass the National Council of State Boards of Nursing (NCLEX-RN). The purpose of this exam is to assess how much you have learned after taking associate courses in nursing. This exam is crucial since it will pave the way for your nursing license. And speaking of license, nurses should have proper licenses for them to function as legitimate nurses. It goes without saying that those who don’t have licenses of their own are not allowed even to diagnose a patient, let alone take care of them. After completing these initial three steps, it is advisable that any nurse should get employment. This is the fleshing-out part of having a nursing degree. Unless you do this employment thing, your calling as a nurse is not so much complete. When you are employed, you have the opportunity to widen your options as well as developing certain skills like decision-making. Get training, if need be. This will further enhance your capability as a nurse and will increase your chances of getting promoted if you so desire to become a preceptor or a medical specialist in the future. These are the steps to becoming a competent nurse. These may vary depending on the need of the hospital. But with these steps, your chances of becoming nurse are as sure as a waiting patient just outside your door. There are so many good things about selecting a nursing career. Choosing a course in nursing education may be challenging but rewarding. The nurse assists individuals on a regular basis, and more often than not finds the job to be really satisfying. Nurses have the ability to select their particular specialty, doing work in the field of nursing or medicine that meets their preferences. Nursing offers many options for development into management, in addition to having more employment opportunities, even in troublesome periods. Nurses are compensated well for the work that they execute. Nursing can provide a chance to travel in different states. Giving the leisure to see other places and meet new friends. Nurses are capable of helping individuals achieve wellness on a regular basis. Many individuals see nursing as a noble profession, permitting the nurse to deliver care to others. The job is often quite fulfilling. Numerous nurses find great fulfillment in aiding patients as they regain their own health. The profession of nursing permits the nurse to select her own niche. Nurses can choose to function in most of the many nursing fields accessible, and can also decide to become certified in a specialty of preference. Selecting a career in nursing can provide opportunities for leadership, and lots of times, nurses find their way into management in large healthcare corporations. Even if job prospects are gloomy for the remainder of the industry, the requirement for nurses never diminishes, giving the job strong employment security. Nurses will also be paid well for their work, with many registered nurses generating well over the median salary of the United States for full-time employment. You can find a great many possibilities to the nurse, and lots of advantages to selecting a career in nursing. Nurses discover great happiness in their profession, and are compensated well. They’ve got unlimited possibilities for improvement, and are able to travel to work in new areas. If you are heading towards nursing education, it’s a noble and decent course to take. The Commission on Collegiate Nursing Education (CCNE) and the National League for Nursing Accrediting Commission or NLNAC are two of the most identified accrediting organizations in the country. They are also two of the most significant organizations, often identifying qualifications for student aid or career practicality. Economical aid organizations simply will not finance non-accredited nursing programs and companies are not comfortable choosing graduates from non-accredited nursing educational institutions. To ensure nurses can secure sufficient educational funding and secure a job, both the CCNE and National League for Nursing Accrediting Commission encourage tight requirements onto a wide range of eligible programs. CCNE and NLNAC accreditation varies in the sense that the CCNE does not accredit LPN, Diploma, or ADN programs while the National League for Nursing Accrediting Commission does. All baccalaureate, graduates and residence nursing programs operating under CCNE accreditation do so according to nationally identified requirements. Nursing certification, diploma and professional degree programs operating under NLNAC accreditation do so using the same requirements as well. And contribution in both is completely non-reflex. The National League for Nursing Accrediting Commission follows the same concepts and procedures as does the CCNE. The organization accredits about 200 new nursing programs per year and watches 1300 programs per year. However, being the earliest accreditation program of the two, it offers a bit more than the CCNE. While the CCNE apparently places most of its focus on implementing requirements for nursing institutions, the NLNAC combines the same educational requirements with unique undergraduate conditions. It also works much more closely with government requirements than the CCNE does. For example, the NLNAC is the gatekeeper to Title IV-HEA programs, which lets practical nursing and hospital accreditation programs participate in DOE or other federal agency programs. With such a close relationship with various government departments, the NLNAC is capable of providing a variety of undergraduate nurse assistance programs, not just financial aid programs. If you are a potential undergraduate looking for the right nursing school, you should become acquainted with the various accrediting companies. These categories, which range in qualifications and objective, are your source for finding educational institutions that fulfill national requirements in knowledge and allow graduate students to sit for the NCLEX examination. Of these accrediting companies, one of the most important is the NLNAC or National League for Nursing Accrediting Commission. This national company is dedicated to advertising quality in nursing knowledge. The company looks at individual nursing trainers, offering possibilities for them to build their skills and system with others in the area, as well as offers qualification for NCLEX preparedness. In this aptitude, the NLNAC is a great resource for discovering programs that will train the medical staff to sit for the NCLEX examination and to get into the field of nursing once they efficiently graduate and get certified. NLNAC is also important in guaranteeing that nursing educational institutions are qualified to get government financing via undergraduate grants or loans; for example, unless a nursing program is identified by the NLNAC or the Percentage on Commission on Collegiate Nursing Education, you may not be able to use FAFSA to help pay for your education. The NLNAC goes one phase further, as well, by providing support to learners beyond the economical stage. Schools can go to the NLNAC for help with undergraduate guidance and recruiting, while learners can discover more about shifting their credits from one university to another. If you are considering a higher-level nursing system, it is not necessary for the NLNAC to be engaged, but you should look for other accrediting qualifications especially the Commission on Collegiate Nursing Education to be sure it satisfies the nationwide specifications for nursing education. Author ErikPosted on December 1, 2012 November 27, 2012 Categories Nursing EducationTags Commission on Collegiate Nursing Education, FAFSA, National League for Nursing Accrediting Commission, NCLEX, NLNAC, nursing, nursing education, nursing educational institutions, nursing training, What is NLNACLeave a comment on What is NLNAC?